We’ve known for a long time that our boy G. Love has some Special Sauce, but what else does he got? 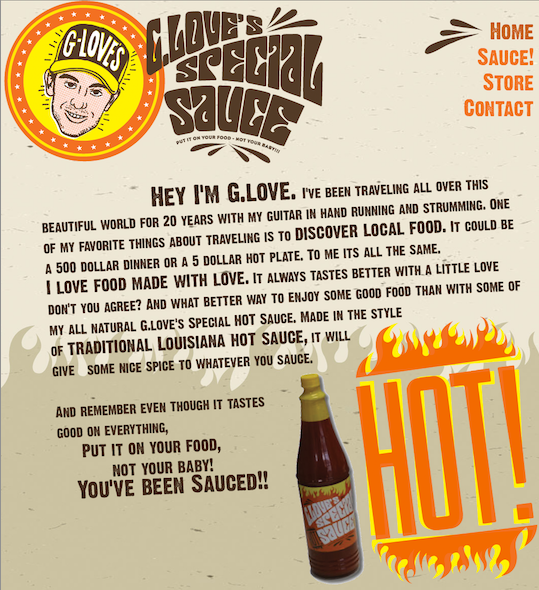 That’s right, G. Love has come out with his own line of hot sauce called, you guessed it, G. Love’s Hot Sauce. To introduce this product to the public, we just launched a new micro-site for it - Check it out and order yours today at GLovesHotSauce.com!